ChicExecs Secures Just The Cheese on Popsugar! Our latest feature is for our client, Just The Cheese on Popsugar! Just The Cheese (@crunchyjtc), tastes just as good in a bar. 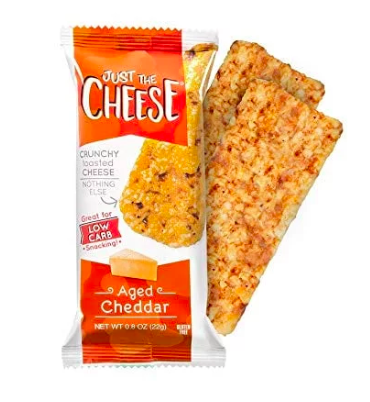 These low carb and gluten-free snacks are available in Aged Cheddar, Grilled Cheese, and Jalapeño.